Matt Flood (left), associate director at DTZ, has chaired the London Committee for nearly one year. Ben Newton (centre), senior associate at Eversheds, and Paul Norbury (right), director at 5plus architects have taken on the role of Chairman in the Midlands and Northern Region (respectively) in the last six months. When did you first get involved in the BCO and what were your initial impressions? 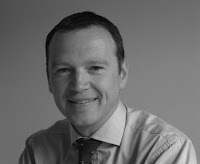 Paul: I first became aware of the BCO about 8 years ago when I was working on the large RBS fit outs in Manchester. My first involvement was simply attending the technical tours which I suspect is most people’s only experience of the BCO? Ben: My first involvement was at the inception of the Midlands NextGen Committee in 2009. It has proved to be an an exciting opportunity for the next generation of leaders in the office sector to share ideas, make contacts and learn from each other – much more than just a networking group. Matt: I joined the London committee in 2010 and immediately realised it was a fantastic opportunity to meet a cross-section of the industry at a diverse range of events. Can you sum up in three words the benefits of this group? Ben: Expanding knowledge and contacts. Matt: Networking, knowledge and experience. Paul: My three words are “interesting”, “talented” and “ideas”...Since I joined the inaugural Northern Committee in 2010 I have spent time with some interesting and talented people on the committee. They always have a broad range of ideas so it’s always good when we meet up. Ben & Paul, you have recently stepped up to the role of Chairman in your regions, what do you hope to achieve during your time in post? Ben: I want to build on the good work of the Midlands Next Gen Committee to-date and continue to run thought provoking, interesting and well attended events that engage the entirety of the BCO membership in the Midlands (and hopefully expand it). Paul: Our targets are to be more active and increase membership. The two go hand in hand though really – there needs to be more activity to convince people to join! Our inaugural year was focussed on establishing ourselves as a committee, running a couple of seminars and working towards the NextGen event at the BCO Conference in Manchester this year. Now we are divulging a little bit and empowering our committee members who are based in Newcastle and Leeds so we spread the efforts and events around the various cities within this region. We have a mini-series of building visits coming up which is looking at industrial buildings that have been reworked into workplaces. We’ve just hosted The Toffee Factory in Newcastle, we will next move to Leeds and then, finally, Manchester. Matt, after being in post for over six months, what has been your highlight to date and what are you looking forward to? My highlight has to be the NextGen session at the conference in Manchester as it was a combined effort from the NextGen community across the country. Moving forward, I am hoping to successfully establish an initiative between the NextGen and Investor committees. What do you all see as a key challenge for the commercial property industry? Matt: I would say that the biggest challenge will be sourcing new forms of funding to replace the lack of available debt. Ben: Due to the funding difficulties in the sector, developers and landlords need to tailor their product to their customers and offer something different to the market in order to enable them to bring new buildings forward and bring older buildings back in to use. This means they have to work more closely with occupiers to create premises that are more client-focussed, adaptable and economically efficient to operate. Paul: I agree and the key challenge will be the creative refurbishment of existing buildings, including creating “office” space out of non-office buildings. Without looking more creatively at building design, the industry will just keep recreating office buildings that have the same old raised floor / carpet / cooling / ceiling solution. Everything will look the same. This isn’t the office of the future, nor does it respond to changing markets and user demands. The motto for NextGen is “Learning from the past, looking to the future”, what do you think the key lessons are? Paul: The typical market leading offices of the last 15 or so years have served their occupants well, and provided a sound basis for the BCO! There is a lot of good practice we can learn from but we’re interested in the “new directions of office design”. Sustainable, flexible, inspiring and fun work spaces are important, which embrace current trends in technology. Ben: Seeing and being involved in the transformation of Birmingham in the 10 years that I have lived in the city. Paul: Some of the high profile City of London office buildings are hard to beat, particularly Lloyd’s of London. That building is certainly creative and didn’t replicate the standard office design of the 80’s! Ben: My Norwich City season ticket. Living 160 miles from the ground I don’t get to many games so it’s arguably not great value for money (so my wife says)! Matt: Tottenham Hotspur for me. Paul: Haribos! We have a “chub cupboard” in the office, which is home to pots of tea and coffee, biscuits, cakes and sweets. The really sour, sugar covered Haribos are a personal favourite! Tony is Director of Business Space at DTZ and has extensive experience of Agency and Development work, principally providing advice to clients on masterplanning, pre-development design, marketing, property disposal and aquisitions. I have been a member for some 10 years, during which it has provided an excellent source of information through publications such as The Guide to Specification and the Fit Out Guide, together with of course the various conferences and more recently with my involvement with the BCO Judging Panel. You have been on the Northern judging panel for three years and Chairman for one, what has been your favourite moment so far? I can honestly say there has been too many moments in order to single out one particular moment. The judging process is incredibly intense over a reasonably short space of time and we pack in so much in terms of the travel, the visits, the debate over the scores and therefore there are many favourite, enjoyable and dare I say entertaining moments! Perhaps the most demanding part of being a Judge and certainly a Chairman is the responsibility of arranging the itinerary of visits. The Northern Chapter represents a considerable geographical area to cover from the North of England to Yorkshire to the North West including North Wales and Northern Ireland. Last year for example, we had 23 entrants as far north as Alnwick and as far south as North Wales, together with a visit to Belfast. It is therefore incredibly important to ensure we plan the most efficient route in order to ensure we visit the submission with the appropriate time set aside for each submission. As always best laid plans can be totally thrown when you add the additional ingredients of weather. One particular incident was at Belfast Airport where I had arrived, but unfortunately my fellow Judges, who were flying from Manchester, were kept in a holding pattern for over an hour whilst a significant snow storm blew over! The opportunity of experiencing a huge variety of schemes across a variety of cities – as part of this variety you get to see the good, the bad and the ugly. Most importantly, firsthand experience of each scheme in terms of the aspiration and ultimately the delivery. The Entry Guide asks entrants to describe how the office lifts spirits, is there a past awards entry that made a particularly positive impact on you? And if so, why was this? The stand out entry was the scheme we visited in Darlington which was a refurbishment of an old industrial scheme by Marchday and occupied by Student Loans. From the submission the panel were reasonably lukewarm in advance of the visit however on arrival we knew within seconds we were visiting a winner. To convert an old industrial unit into a modern call centre of over 80,000 sq ft with sustainability high on the agenda, air quality, light quality, spacial layout and breakouts was outstanding. It represented perhaps one of the best call centre environments I have ever witnessed – ultimately an environment I would personally work in and certainly a place that as you walk in simply lifts your spirits. As we receive a number of entries, it is important every effort is made to differentiate and highlight the unique points of the project, but in a concise and easy to read manner. I also feel the use of photography is important. What one piece of advice would you give to someone starting out as a BCO Judge? Get plenty of sleep beforehand, travel with plenty of Nurofen, but be prepared for a wonderful experience from the presentation by the home team, to the actual tour of the submission followed by the debate by the Judging Panel, a debate which is fascinating due to the cross section of the panel. In the Northern Chapter we have five judges on the panel, from five different backgrounds, with an agent, an architect, cost consultant, developer and M&E engineer, therefore five different skills and therefore five different opinions. Whilst my career has been in office agency and development, I am a somewhat frustrated architect and therefore I guess if there is anything that has inspired me during my career it has been the architectural industry. The vision, the creativity and deliverability that this sector achieves can be game changing and life changing. I have had the pleasure and privilege of working with many architects and it really is a pleasure and an inspiration. My guilty pleasure would have to be margaritas, although I don't have any guilt, only a headache!